A backflow preventer plays a crucial role in separating potable drinking water from non-potable wastewater. If your home requires a backflow preventer, Master Plumbing & Mechanical can install the right system to meet your needs. Backflow occurs anytime water flows through a water pipe in the opposite direction that it’s meant to. Backflow is a problem because it can cause wastewater to flow back into a home, contaminating the drinking water. A backflow preventer is a mechanical device that is installed in a plumbing system to prevent water from ever flowing in the wrong direction. A backflow preventer installed and maintained by a trained technician where water enters the home can give a homeowner the peace of mind that bad water will never enter their home’s safe water supply. One common way for a home’s water supply to be contaminated is if the irrigation water lines, which could become tainted by pesticides or weed poison, backflow into the interior water lines. If that contaminated water were to backflow into the community drinking supply, the problem could spread exponentially. A backflow preventer not only protects drinking water in individual residences, it also prevents wastewater in private homes from flowing back out and contaminating the public water supply. 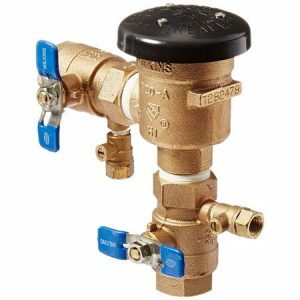 An atmospheric vacuum breaker backflow preventer is the cheapest type of backflow preventer, however, many local codes outlaw atmospheric vacuum breakers because they are unreliable, and require units to be installed at each control valve. A pressure vacuum breaker performs the same function as an atmospheric vacuum breaker, but requires only one unit to protect the entire water system when mounted on the main water line. 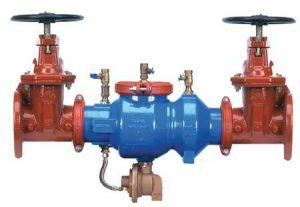 A reduced pressure backflow preventer is the top of the line when it comes to backflow preventers, and is the device of choice because it can withstand the introduction of fertilizer or other chemicals, it’s also a wise choice for residential water systems. A double check backflow preventer is not susceptible to contaminants in the air because it’s installed beneath the ground in a vault, which also protects against freezing. Master Plumbing & Mechanical services the Washington, D.C. metropolitan area. Contact us for more information about how a backflow preventer can protect your water supply.